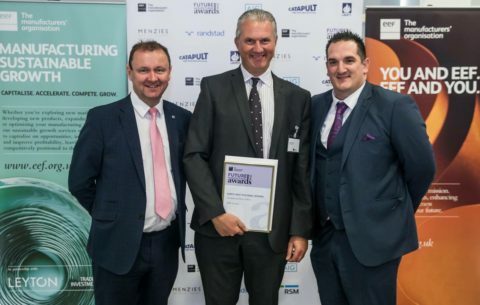 MPE Limited, has been crowned a regional manufacturing champion at this year’s prestigious EEF Future Manufacturing Awards. MPE walked away with the Developing Future Talent Award sponsored by Randstad Inhouse Services. This award recognises the manufacturer that has done the most to build skills, talent and develop their employees internally and/or promote engineering and manufacturing careers through activities within the community. MPE was up against stiff competition from a range of innovative businesses – small and large – from across the region. It was selected by a panel of judges drawn from business leaders, industry experts and academics after impressing them with the way they adapted and modernised a long-running programme embedded in the culture of the organisation and allowed further expansion. 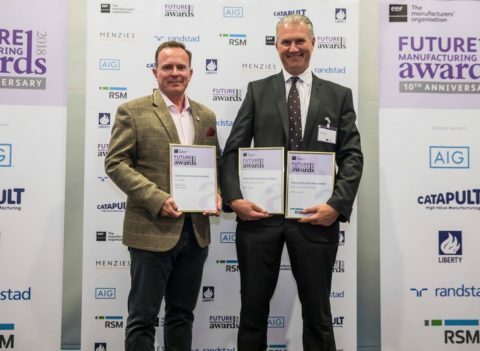 David Seabury, Managing Director at MPE, said: “This award is testament to our hard working and dedicated team, and we are delighted to have won. It puts us on the map as a modern and innovative company and goes some way to demonstrate the valuable contribution made by local manufacturers, like ourselves, to the employees in our region. We can’t wait to share this news with all our staff, customers and suppliers. This award was one of three awards secured by MPE at the event.